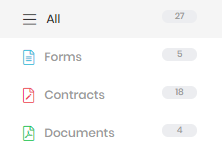 Upload and manage your contracts, documents and forms easily with Signature. With a wide range of supported formats and an intuitive drag-and-drop template editor, you will be creating professional-looking templates in record time. Click the Upload button to open the Upload Template modal. Drag files, or click the Browse link to upload a file saved on your device. 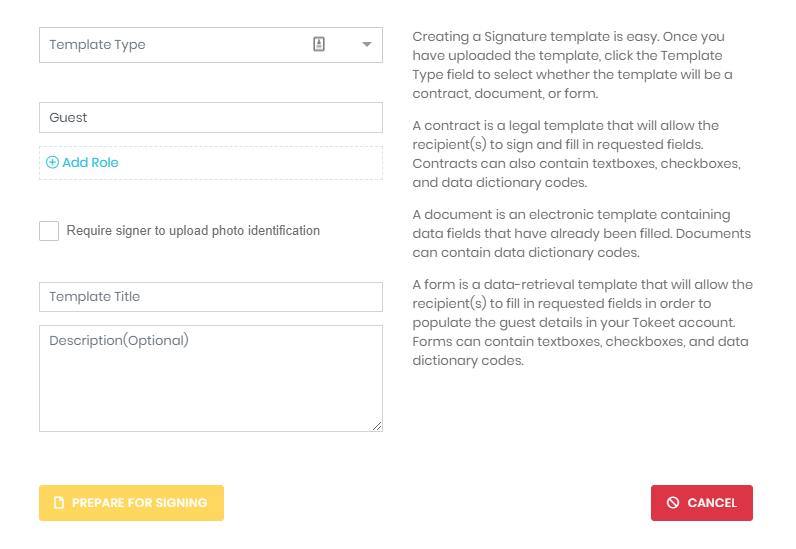 Click on the Template Type selector to choose whether the template will be a contract, a document or a form. The description field on the right will give additional information about each template type. Edit the existing role, or click the Add Role button to create additional Signing Roles for your document (for example, Property Owner and Guest). Select the Require signer to upload photo identification option if you want to request photo identification with your signed template. Give the template a Name, and add a Description that will allow you to quickly understand the purpose of the template. Click the Prepare For Signing button to begin adding fields to the template. Once the document is prepared and saved, you are returned to the Templates page. Click the Edit button and select Send to open the Send Template modal. Enter the Name and Email addresses of all recipients. If the guest or Tokeet user exists in your account, then you will be able to select them from the drop-down menu. 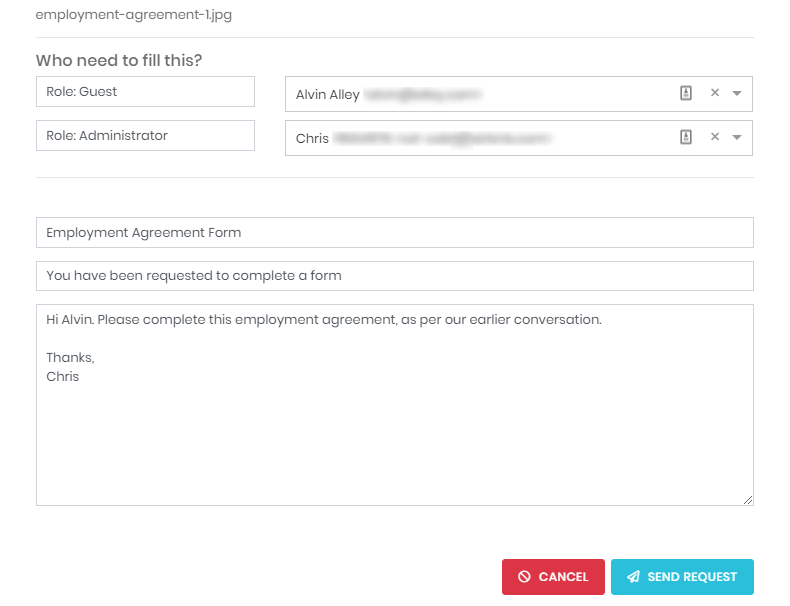 Customize the Contract Name, Message Title, and Message body to give the sent message a more personal feel. Click the Send Request button to send your template to the specified recipients. If you have selected a Tokeet user with a saved password, the template will automatically be signed, and the Tokeet user will only receive the confirmation email. That's it! All recipients are sent an email with an electronic link to the contract for signature. Once the template is signed by all recipients, all parties will get a link to the signed template for their records. Use the filters in the sidebar to filter the templates list by template type. 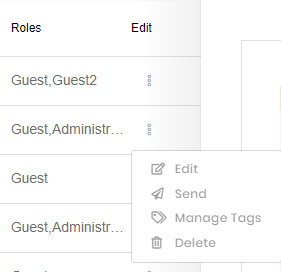 Click the Edit button and select Manage Tags to open the Manage Tags modal. 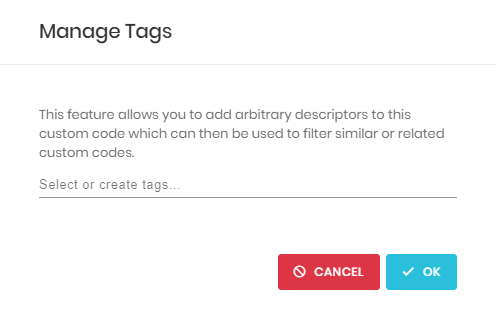 Tags can be assigned to the custom code in order to make sorting and organization of your different codes easier. As always, we're here to help. Please feel free to email support@tokeet.com with any questions.